When google-ing wedding bands Sydney there will be thousands of options of wedding bands that will pop up. Understandably, searching through pages of bands can be quite exhausting. Fortunately we are here to offer some solid advice to allow you to know the difference between a professional wedding band and up and comers. HOW DO I KNOW THE DIFFERENCE BETWEEN SYDNEY WEDDING BANDS? Having experience is the main ingredient separating the best and worst wedding bands. Ideally you would like a band to have already performed for at least 50-100 weddings. So much is learnt along the way and by the time they get to you, you want them to be absolutely awesome and in fine form! Does the band look sharp? Does the band have a website that looks like it’s had some love put into it?!! These days it’s pretty easy to navigate around with the help of a GPS. Although anticipating traffic conditions around Sydney is SO important. This gets back to the point of having experience and having done it all before. The last thing you want is your band turning up late to your big day! Whether there are sound restrictions or not? Will the ‘in house’ microphone be equipped and loud enough for speeches? Will the venue provide top service in general? Will there be enough food for everyone? Is the food tasty? How much space is there for the dance floor and band to set up? How much equipment does the band need to provide in that space? 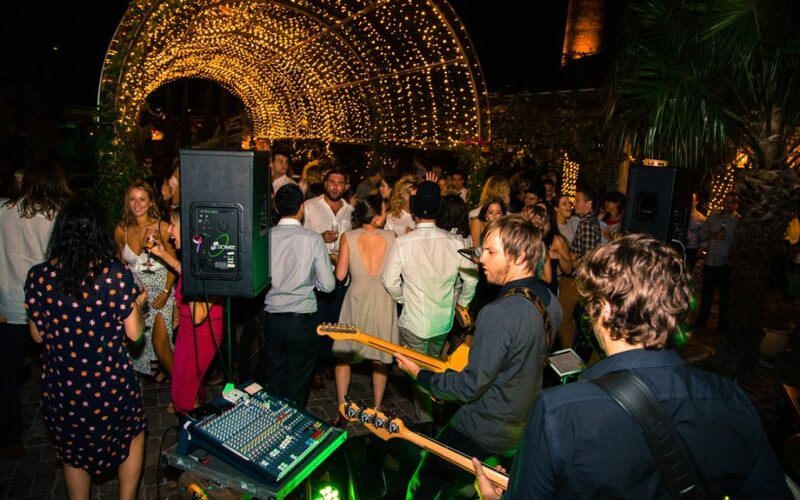 There are a great deal of venues in Sydney and surrounding areas such as the Hunter Valley and the Southern Highlands. Does the wedding band you are looking at have an extensive song list? It’s important that the band have a large repertoire of songs for weddings. It means they can be adaptable and play songs of all genres spanning over generations to cater for all your guests on the night. Knowing the right songs to play at the right time is SO important. DOES THE SAME BAND KEEP POPPING UP? You’ve seen them countless times at wedding expos around Sydney, you’ve been referred their name by a friend, you’ve done a random google search and they have appeared on easyweddings.com.au or simply you have typed in key phrases such as: wedding entertainment, best wedding bands, wedding singer, wedding singers or wedding bands and there they are! This is very good sign! It means they are serious and professional. They promote themselves and are confident in their ability to provide A class wedding entertainment for your special day.